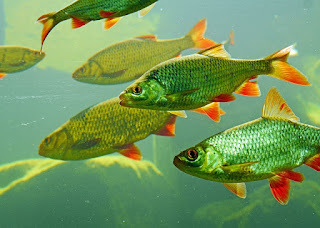 Feeder Fish are fish which are raised a food for other fish. Some Aquarists feed live food to the fish. Fish such as guppies, platies and gold fish which reproduce quickly and can be kept in small areas are generally used as live food. Tadpoles are also used as live food. Other fish which are not considered desirable such as female bettas are also used as live feed. Many people consider the use of feeder fish as cruel. Besides, they point out that fish which are raised for food are usually kept in crowded conditions and underfed. 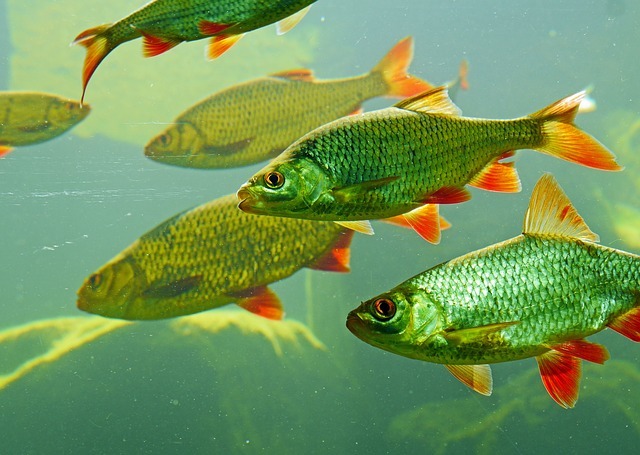 With compromised immune systems, these fish can be carriers of disease and parasites. They also say that almost all kinds of live food can be matched with processed food available at petstores. Proponents of live food feel that live food brings out the natural hunting instincts in fish. This is countered by those who say that dropping a live fish into a tank from which it has no chance of escape does not simulate the natural environment where every prey has a means of escape. The use of live feed is thus hotly debated in hobby circles.